Literally every city is full of free, delicious, edibles that will give you very nutritious meals post-collapse in addition to your stockpile. In fact, you can forage for them pre-collapse as well since a lot of the edibles I’m about to reveal to you are on public property. When Can You (Legally) Pick Fruits and Plants? Obviously, post-collapse, things are going to be a bit different but that doesn’t mean it’s going to be easier. What we know for sure is that a plant on public domain is safe to be taken home and eaten. In order to forage effectively, you need to know what some of the best and most nutritious plants are that you can find in urban settings. Right now you can find a lot of the plants I’m about to reveal to you in or around the city, including in parks, bike trails, and pretty much every other green space you can find. The cool thing about dandelion is that it doesn’t really need to much water to grow (this is why you’ll find this plant on every continent). So if you’re looking to grow a plant that won’t get scavenged post-collapse by people looking for food, this should be your first choice. This plant is another great “urban survivor” because it adapted itself to live with very little water. 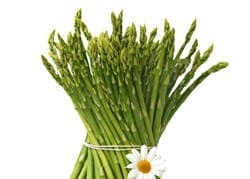 If you decide to grow asparagus in your back yard, you’ll find you’ll have very little work to do on it. You just have to plant it and let it grow. I could tell you about all the amazing health benefits but there are too many to mention. This plant is fantastic for your heart but it has a couple of small downsides. First off, eating it every day is going to give you gas. Secondly, you’re gonna notice a small change in the color of your urine and even its smell, although not everyone’s going to experience these “side effects”. 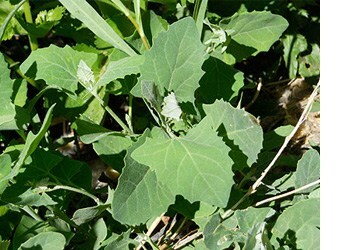 Wild spinach, as you might expect, is closely related to the spinach we’re all used to eating. It tastes almost the same, too. Nevertheless, in times of social breakdown, you’re going to appreciate wild spinach. You can go ahead and cook it just like you would regular spinach. You know how people are going all crazy now over the fact that dairy products are not, in fact, a good source of calcium? Well, spinach is and so are all green-leafy vegetables. 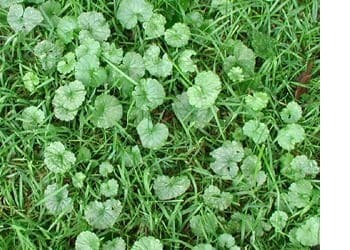 Ground Ivy is easy to grow, particularly since it likes the shade. Its leaves are a little bitter so use it first and foremost for its medicinal benefits. It can help treat a number of issues related to the liver, kidneys and bile. Some people use it to flavor soups and stews. 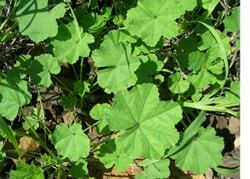 Malva is another great wild edible you can find foraging in and around your city. You can just wash it and eat it (or use it to make a delicious salad, of course). 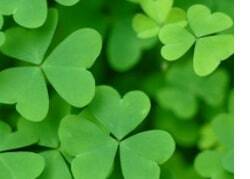 Who can’t recognize clovers? Well, you might be surprised to know there’s another plant called Oxalis triangularis that looks very similar. Both red and white clover has, as you might expect, a huge number of micro-nutrients, including vitamin C, vitamin A, B2, B3, and so on. It’s even suggested that clover can fight cancer! Besides that, it’s a good expectorant, it’s anti-asthmatic, and it’s a fantastic anti-inflammatory. I could go on and on listing benefits of this one. 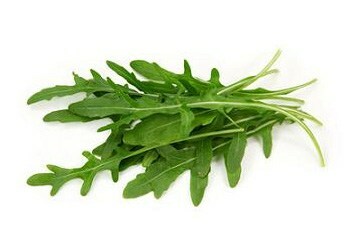 If you’re not sure about all these foraging options because they’re not what you’d normally eat, surely you will recognize arugula as something a lot of your friends enjoy with their salad. 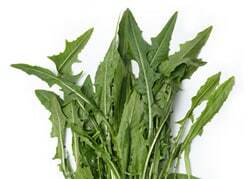 Arugula is rich in phytochemicals, anti-oxidants, and a wide array of vitamins and minerals (vitamins A and C in particular). 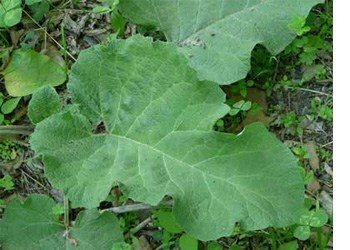 Though I will tell you in a minute to stay away from plants that taste bitter, burdock is one exception. You can eat it raw or you can boil it. You can eat the roots, you can eat the leaves, but it’s best to stick to first-year plants. Second year burdock roots are a no-no. Which Plants Are Toxic Or Poisonous? Just to be clear, toxic means they can give you abdominal pains, but the ones that are poisonous could really put your life in danger. The vast majority of plants you’re going to find when urban foraging are NOT poisonous, yet you should stick to the ones that are in this list. The only plants I don’t want you to forage (whether you’re in the city or the woods) are mushrooms. Although there are 5,000 mushroom species growing in the U.S. with only 100 of them being poisonous, you just don’t want to take any chances. A lot of mushrooms that are safe have poisonous lookalikes. Rule #1 is do NOT collect plants that are within 30 feet from busy roads. Traces of exhaust system gas elements is not exactly what you want in your salad. If you have a factory or any other pollution source in your area, same rule applies. Forage as far away from potential pollution sites as possible, preferably on the other side of your town or city. Rule #2: always wash what you forage. You just never know if someone or something peed on them. If you can, you should avoid plants that have been peed on, but keep in mind this may not be an option post-collapse. Although fewer people will know how to forage wild edibles in the city, there will be others so your supply might become limited. Got a back yard? Then you don’t even have to leave your home. In fact, you probably don’t even know the hidden treasure behind your house so now is a great time to explore it. Foraging in your own backyard will be less risky than going out to forage. You don’t have to take everything you find on the spot. Sometimes you’re just gonna have to remember where you found a specific plant or a tree and come back to harvest it later when it’s in season. Although we only talked about plants in this article, some folks refer to scavenging when they talk about urban foraging. In other words, they’re not just limiting themselves to parks and other green spaces, but will look for any kind of food inside garbage bins, dumpsters, and even go as far as to talk with restaurant and hotel personnel to get some of their leftovers.